This image is from the southernmost part of the Jersey Shore in Cape May. 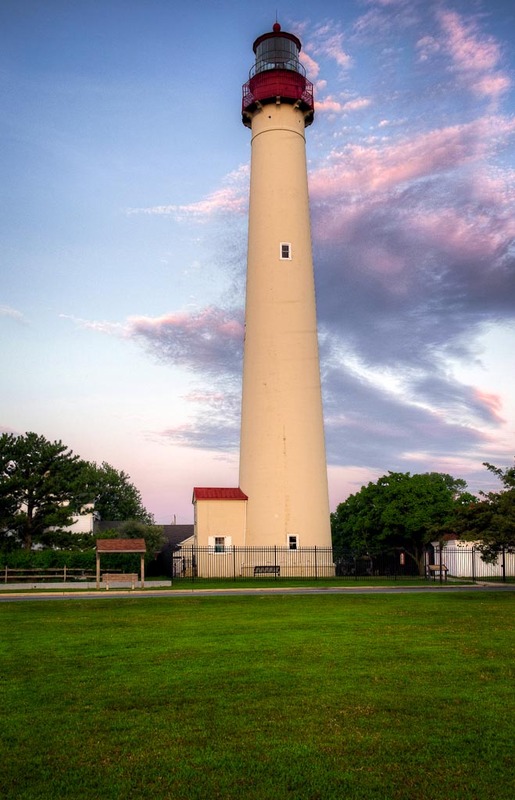 The Cape May Lighthouse was built in 1859 and continues to provide light to the cape. The light is the third of its kind although the first two would be under water today due to beach erosion. The lighthouse tower is about 157 feet tall. The walls were designed to withstand winds several times above hurricane force. The lighthouse is owned by the state of New Jersey. This image was taken from the grounds of the lighthouse shortly after dawn. The light gave the clouds some wonderful color that acted as a nice backdrop to the white lighthouse tower.